Thanks to MeriTalk for featuring this Q&A on their blog and allowing us to syndicate it here. Advancements in big data and analytics have given agencies an unprecedented ability to leverage information to drive actionable insight, to understand constituent needs, and to provide personalized services─from real-time traffic and weather updates, to neighborhood crime rate analysis and preventative health care research. To help agencies better understand the potential that big data holds for the larger Federal enterprise, Dan Verton, executive editor at MeriTalk, recently interviewed some top experts on the subject: Steve Totman, a big data technology evangelist with Palo Alto-based Cloudera, a computer software and big data management company; and Webster Mudge, senior director of technology solutions at Cloudera. Q: How is the increasing access to big data and big data analytics affecting how government agencies operate? A: Totman: Big data is not new; it’s the data you already have across your organization. You just haven’t been able to take full advantage of it yet. The fact that you can now deal with it and treat it as an asset, is what’s new. As you look across the agencies, some are very mature and have been using big data for some time and some are very new and they’re just starting to dip their toe in the water. Now that data is an asset, it’s important to look at the ethical use of data. Most agencies have some sort of chief data officer who can take on an ethical data role. A: Mudge: A lot of the constraints that were found in more traditional environments are effectively being washed away, and yet the policies still need to be imposed. They are critically important. 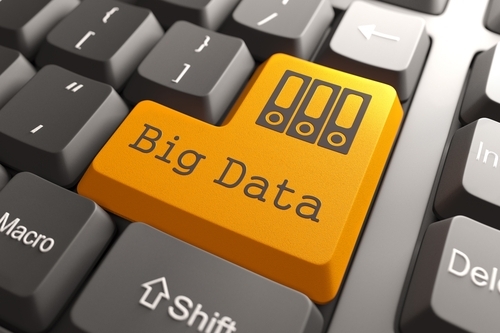 This requires that an organization examine its policies and apply them to the use of big data. Q: When most people think of CIOs, they tend to think of them as technical scientists. Are you saying that the role is now evolving into more of a policy role? A: Totman: Absolutely. The ethical and legal side really ties into it. Organizations are now starting to wake up to this. Q: Many organizations, especially large government enterprises, already have large data stores at their disposal, but the key is in turning that data into something that can be used for timely and intelligent decisions. How do you ensure that this happens, and which is more important, the technical side or the process side? A: Mudge: Both the technical and the process are equally important. They really are in lockstep. The most critical element on the technology side is being sure to use open standards so that data can operate with as little impediments as possible. Having open standards allows enterprises to future-proof their data. The information should be stored in a way so that it can be interpreted easily. It needs to have agility ingrained into it. A: Totman: We’re seeing a whole new breed of data user-types. I really like the term “data wrangling,” and the whole idea of being able to play with the data and find the value using specific wrangling tools. There is a lot of data manipulation that needs to take place up front, by data wranglers. Q: What are some of the possibilities for big data and big data analytics over the next five years? A: Totman: It’s exciting to see that people are beginning to use data not just as an asset, but to change people’s lives. As we go forward, behind the scenes, data is going to make people’s lives much better. A: Mudge: Ultimately, it’s really about using data to predict behavior. Big data analytics extends the power for the clinician to a 24/7 model and allows them to look at behavior in a broad sense. This will really change the model of care. In addition, being able to exploit decision support by harnessing big data for its depth, breadth, and complexity of information will bring about the biggest changes we will see.